A stylist's go-to lightener for any conventional lightening needs that will gently and effectively lift and lighten natural hair color without the concern of puffing or swelling. The micro-encapsulated, time-released lightening action ensures even and gentle processing, lifting up to seven levels and beyond while maintaining the natural integrity of the hair fiber. 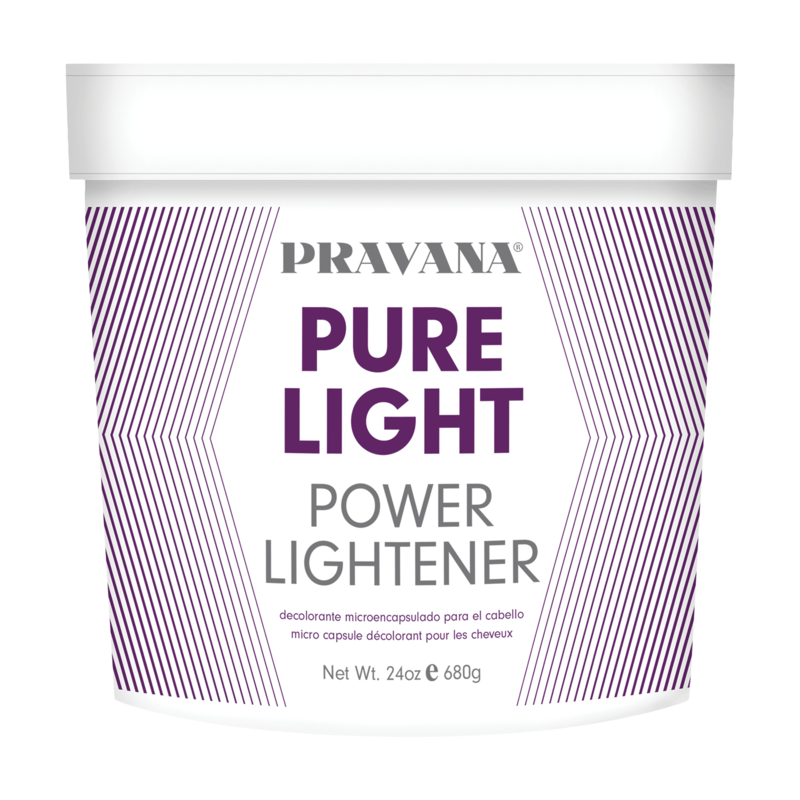 Mix one part Pure Light Power Lightener to three parts PRAVANA Crème Developer or to the desired consistency. Apply to dry hair.